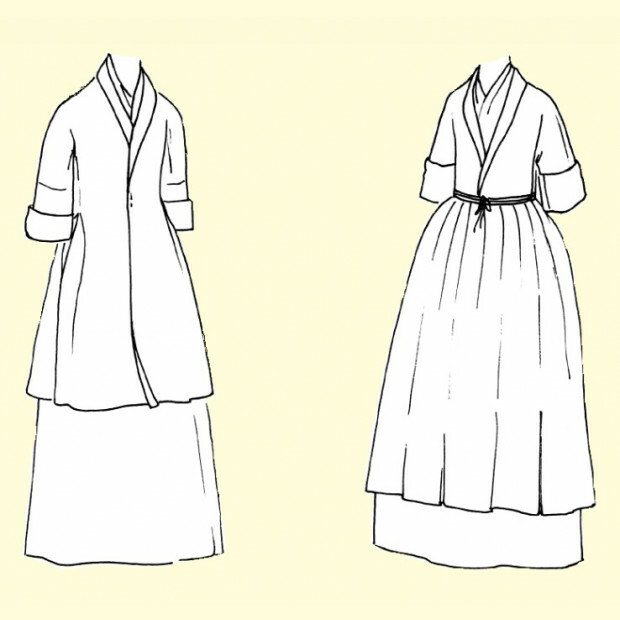 The Manteau-de-Lit or Bed-gown is an unfitted, T-shaped jacket with a shawl collar that continues into robings. 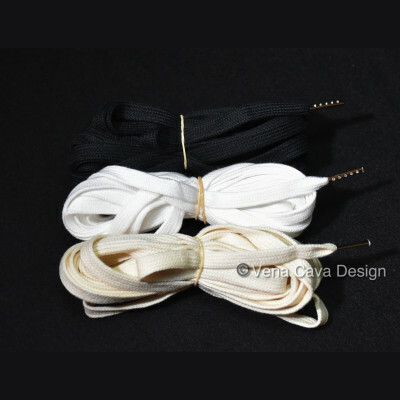 It is knee-length, has seven-eighths length sleeves and underarm gussets. The bed-gown may be held closed using straight pins or an apron, for which directiona are included. 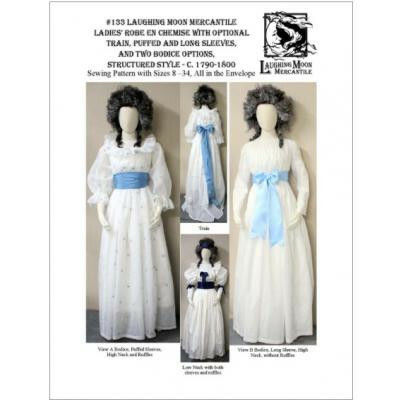 The bed-gown is very easy to construct, and is reversible when lined. "The bed-gown (manteau-de-lit). 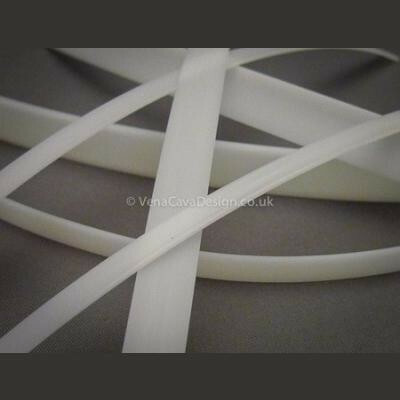 This is cut from two or four lengths of material according to the width. 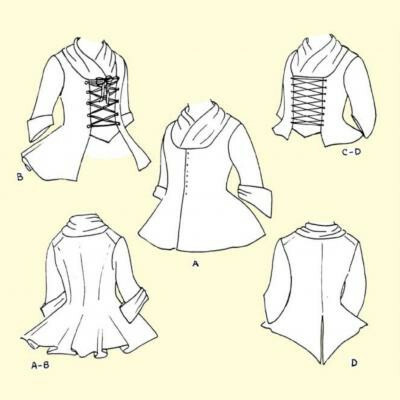 The sleeves are cut en chemise, that is, in one with the body; the squares cut from the sides of the gown are added to the sleeves to give extra length....The back is cut straight across the top and has an inverted pleat centre back. 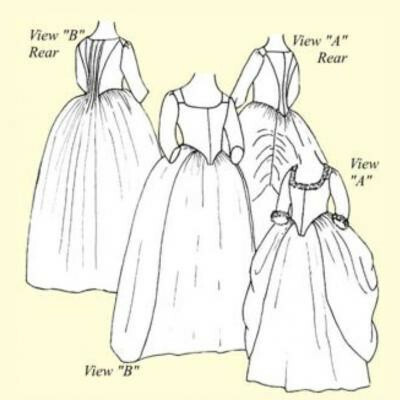 The front... has an extra piece on top, ...which is formed into a pleat and folded to fit the neck....An inverted pleat is set (in at) each side (of) the waist." The bed-gown is fairly close fitting around the torso. If you wish a looser fit, please make one size larger than you normally wear. 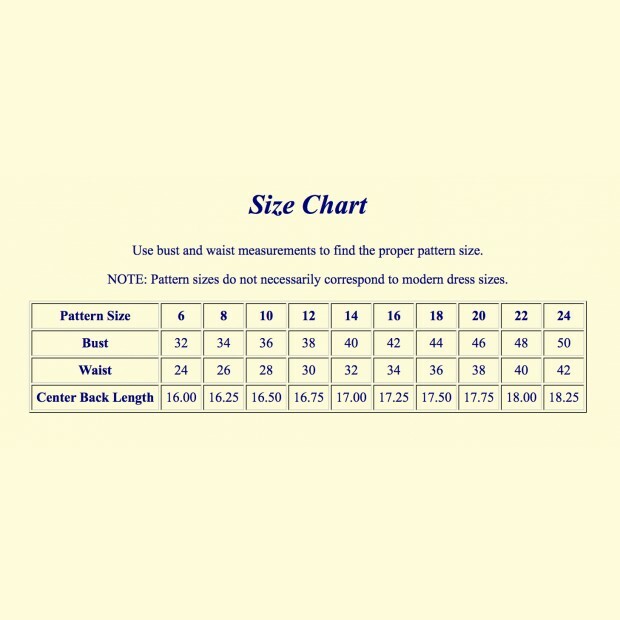 If you are making an unlined bed-gown, this pattern is best suited to plain, unprinted fabrics, as the inside of the garment is turned out to form the collar and cuffs. 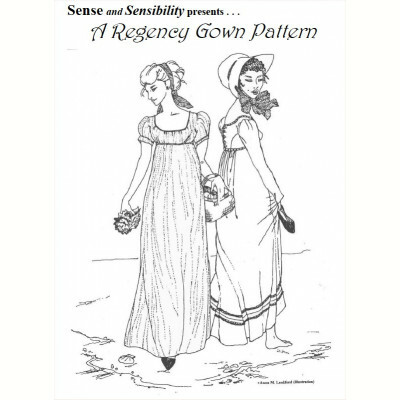 If you wish to use a print, it would be best to consider making a bed-gown with a lining.Also included are diagrams and instructions for an apron.